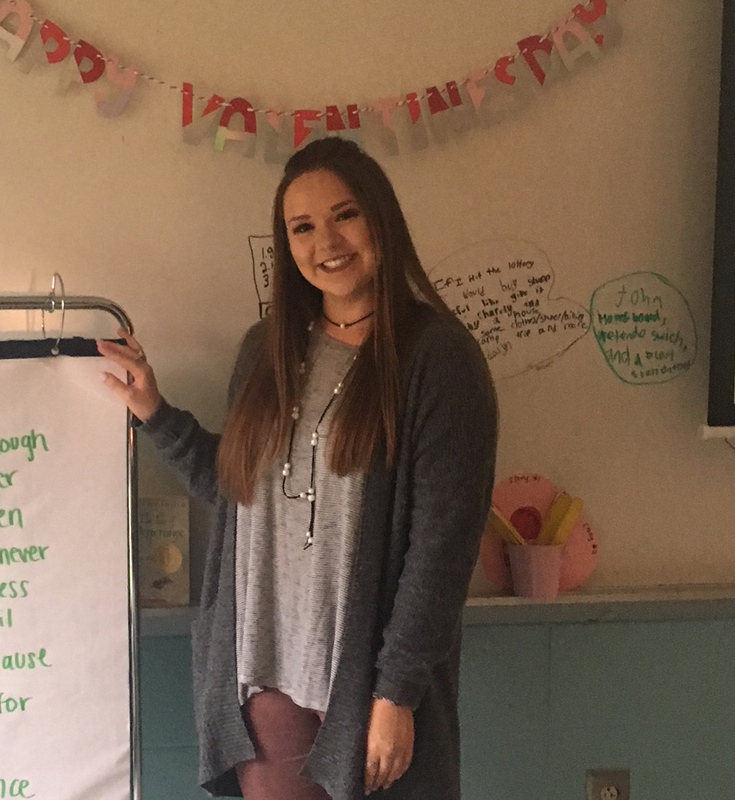 Marissa Bowyer, a former Work-Based Learning student, a 2012-2013 graduate of Gilmer High School and a 2017 graduate of Kennesaw State University returned to her hometown of Ellijay, GA to begin her teaching career in the fall. She took charge of her education while in high school through the teaching internship in WBL. Marissa interned in K through 8th classrooms. A number of teachers served as mentors providing guidance and inspiration which encouraged her to continue her education. In the end she determined that elementary education is ‘where it’s at’. 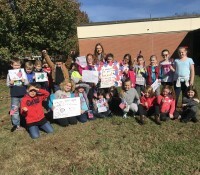 She is now teaching a 2nd grade class at Ellijay Elementary School. 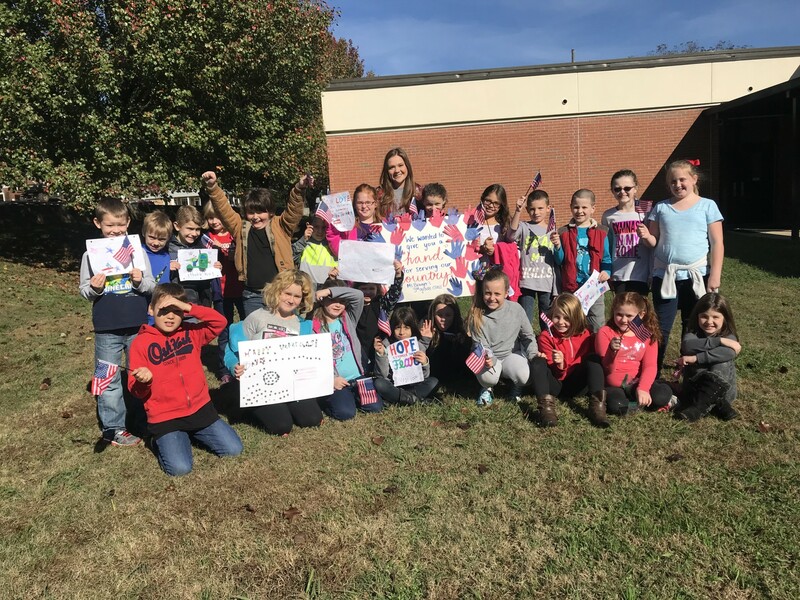 The Gilmer County Charter School System has more than 10 certified teachers and an IT person employed who came through the WBL program. Truly ‘growing our own.’ We thank the many supporters; the BOE, Superintendent, FOO, CTAE Director, Principals and mentor teachers. 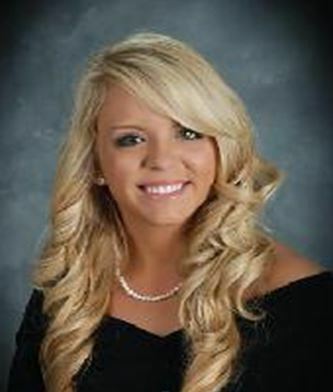 Leah was an honor graduate at Ware County High School in 2011. She achieved high achievement in her academic and Career Technical Agricultural Education courses. Leah was able to take courses in the medical field to gain foundational knowledge. Then, she worked in the medical setting as an office assistant at the Vein Clinic through the Youth Apprenticeship/Work Based Learning Program. Leah interacted with patients’ daily with scheduling appointments, taking payments, filing insurance claims, and assisting with simple patient care. The Work-Based Learning Program allowed Leah to gain hands-on experience in the medical field prior to pursuing a post-secondary degree and career in the medical field.Leah attended and completed the Weber State University Nuclear Medicine program. She passed the Nuclear Medicine Technology Certification Board Examination. Leahwas able to begin working immediately in Jacksonville at the Cancer Specialist of North Florida. She is Leah Thornton Mattox RT (R) CNMT. The Work-Based Learning (WBL) program at Central Elementary High School (CEHS) has been a great success. As a result of the WBL program, students at CEHS are learning the responsibility of work, the importance of continuing their education after high school and the privilege of starting a career as opposed to just working on a job. In some of our students the WBL program has established a solid foundation. Since its initial beginning at CEHS we have several students that have completed the program. One success story is Ms. Tagera Howard. She is currently employed at Piedmont Hospital of Atlanta, Georgia as a registered nurse. After graduating from CEHS she attended Georgia State University. At Georgia State she pursued a major in nursing. While a student there, she was inducted into the Sigma Theta Tau International Honor Society of Nursing. In order to receive this honor as an undergraduate student, a student must rank in the upper 35% of the graduating class, be enrolled at an accredited institution of higher education, have completed at least half of the nursing curriculum and have achieved academic excellence. Nurse Howard completed her course of study in May 0f 2017. Another graduate of CEHS Ms. Holley Bunkley also is a WBL program completer. After completing her education at CEHS she matriculated to Albany State University in Albany, Georgia. While there she pursued a major in nursing. Nurse Bunkley is currently employed at Piedmont Hospital of Columbus in Columbus, Georgia. One student Jormeshia Barron will be a WBL program completer effective May 2018. 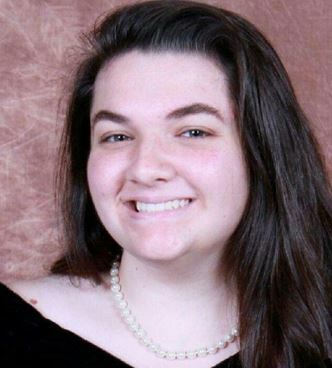 After completing her studies at CEHS, she enrolled in Georgia State University where she is currently a senior scheduled to graduate in May of 2018. While at Georgia State University she has been honored for her academic achievements. Just recently she received accolades for being an honor student for the fall 2017 semester. The WBL program at CEHS is working to ensure that many of our students reach their maximum potential. Stephanie Zerby joined the Flight Operations Pathway at Woodville Tompkins Technical & Career High School(Savannah) her junior year. She was working nightly past mid-night at a fast food restaurant and coming into school exhausted. She was desperate for a different working environment. She did not have the self-confidence to write a strong essay selling herself as a Gulfstream YAP applicant despite her excellent writing skills. 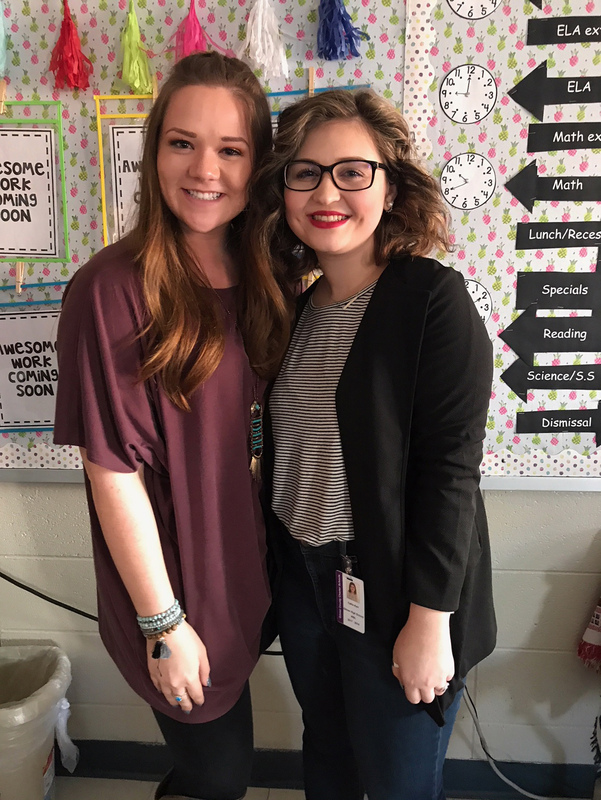 She worked with her WBL coordinator, Linda Minor, redoing her essay many times and she practiced her job interview skills. She was admitted as a Gulfstream YAP student. It was her dream job to work at Gulfstream. As her confidence grew, she became the student face of Gulfstream in the news during their 50th anniversary celebration. She also was awarded a place after graduation to continue working at Gulfstream. In the fall, she will be attending Embry-Riddle Aeronautical University. She will continue to pursue her internship at Gulfstream as a college student and her dream job as a Gulfstream lifetime employee where her current success has put her in position to make this happen. Baylon participated in Honor’s level courses and also completed the STEM pathway at NHHS. At the end of his Junior year, Baylon applied for an internship with IMS Gear in Gainesville, Georgia. The IMS Gear internship during his Senior year, provided valuable experience and direction for his future. 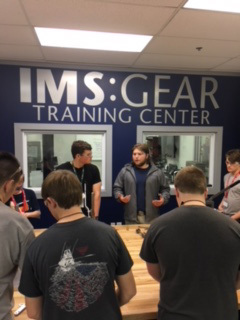 Baylon is now a part of the Apprenticeship program at IMS Gear. He continues to work and learn on-the-job, while pursuing a post-secondary degree that is being paid for by his employer. Eric Ramey, a 2013-2014 graduate of Jackson County Comprehensive High School and Work Based Learning participant and Youth Apprenticeship completer, began his pathway to success with Kubota Industrial Equipment as a junior in high school. Eric has completed the Agriculture Mechanics Pathway and Construction Pathways. As a junior, he was hired as a Work Based Learning/Youth Apprenticeship intern and worked on the assembly lines at Kubota, but also worked in the following departments: Backhoe Assembly, Receiving Warehouse, Chassis Assembly, Tractor Assembly, Research and Development, and the Kaizen Shop. Based on his outstanding work ethic, KIE saw the potential for Eric to advance within the company. Eric took advantage of Kubota's tuition reimbursement program and enrolled in the Industrial Systems Technology Course at Lanier Technical College and recently completed his coursework. He is now a maintenance technician at Kubota Industrial Equipment, Jefferson, GA and he is responsible for servicing and maintaining all equipment (processing work orders and preventative maintenance), trouble shooting and diagnosing electrical problems, installing new hardware on equipment to improve performance and trouble shooting and repairing hydraulic systems and pneumatic systems. He also trouble shoots basic PLC programs and writes basic PLC ladder programs. He is married and welcomed a baby boy in December. When I first met Eric he was Undecided / Unclear / and Unsure about his future after graduation. Through WBL and our mentoring opportunities we discovered a young man who was Able / Willing / and Successful in his secondary education at Lanier Technical College and now he has a clear career pathway at Kubota...Thanks again for the opportunity to work with such a fine young man, and he was a very good recruiter in bringing his brother on board as well. Brandon Owens– was a graduate of Hardaway High School in 2012. He was in the third cohort of students placed at Pratt Whitney Engine Center in Columbus, GA. Pratt Whitney, a United Technologies global company builds and services engines for commercial and military aircraft. The job placement involved working on the floor under supervision of as mentor on Monday through Thursday. On Friday Brandon would come back to the school wearing his uniform and assisted students in other Career and Technical classes while motivating them about their future career plans. He was practicing what his mentor did with him and emulated the model with his peers at school and preached the importance of employability skills and the importance of their technical skills. Brandon has now been hired full time and has earned his FAA Airframe and Powerplant (A&P) license. All of his post-secondary training was paid for by Pratt Whitney. Brandon has moved up several ranks and has lately been moved to the team for the new Geared Turbo Fan (GTF) which is Pratt and Whitney’s latest innovation and most modern engine to date. He is now a trainer and mentor for new students coming into the program. Join the Georgia Work-Based Learning / Youth Apprenticeship Program and help your business focus on the future. Copyright © Georgia WBL 2017. All Rights Reserved.